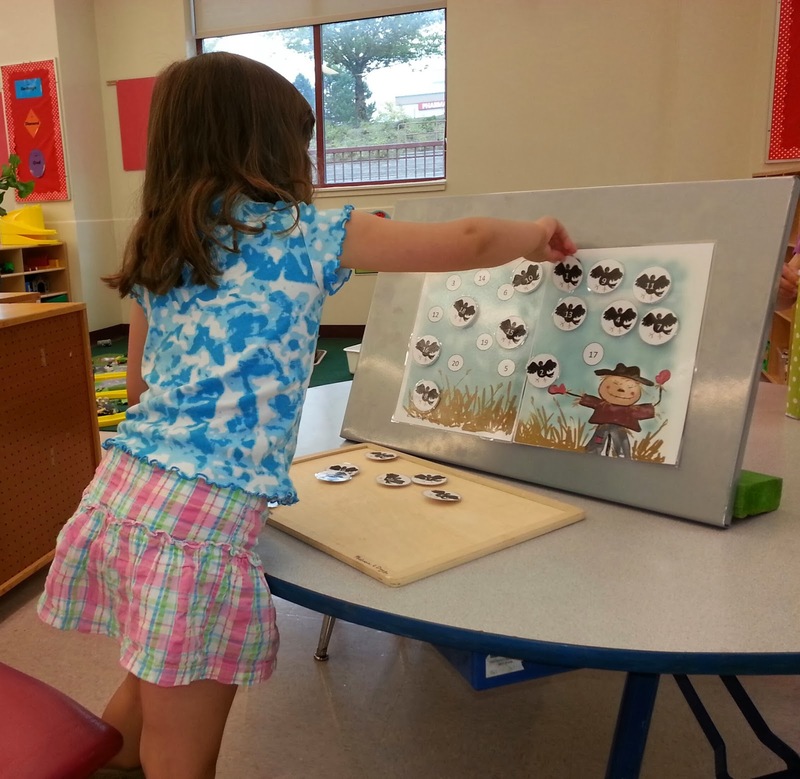 I love making magnet games for centers and magnet board stories for circle time. There's something about that "pulling" sensation from a magnet that kids love. It adds a lot of extra fun to an activity! I like to use the nice, strong button magnets on the back of my image pieces. And I use squares cut from a magnet sheet for the corners of background pages since they need to lie a little flatter. When gluing the magnets, I find that a hot glue gun has served me quite well for the materials that are for my use only. 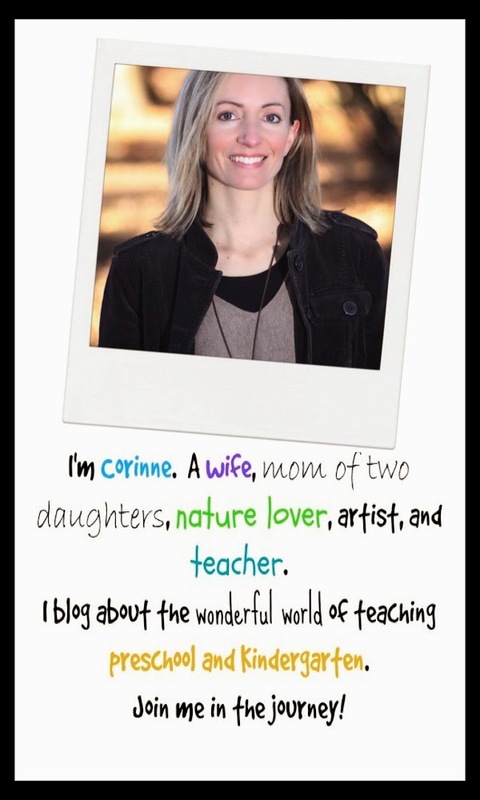 If the kids are using the activities (for the magnet games,etc. ), I've found that a stronger glue is required. They're not quite as careful with the pieces as I am! 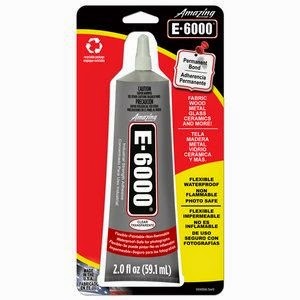 For highly used items, I strongly recommend E6000 glue for extra staying power. It's available at Wal-Mart for just 4 to 5 dollars per tube. 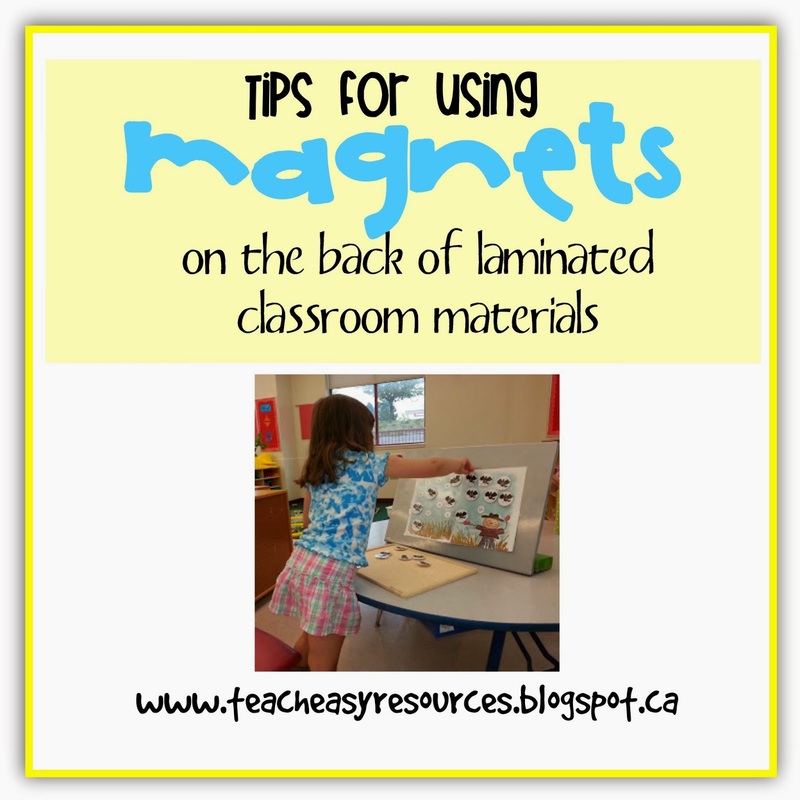 When I first started doing magnet activities, I just used a cookie sheet (which works fine in a pinch! ), but then I wanted something that could stand upright. Then I created the stand below with a piece of wood I found in the back yard. I drilled two holes in the edges that matched the size of the dowel pieces I bought at Home Depot. Then I painted it a nice bright green! If you decide to make this stand, just keep in mind the size of your drill bits when you buy the dowels. You'll need some big holes! You'll also want to make sure the dowels will fit into the lip on the back of your magnet board. Here's my magnet board in use for some of my Fall games! The kids practice number recognition by matching #1 - 20 crow magnets to the corresponding number circle on the board. 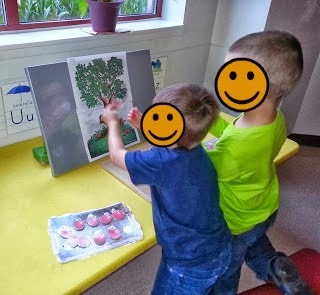 Students load up the apple tree with the apple magnets. Then they roll a #1 - 3 die. 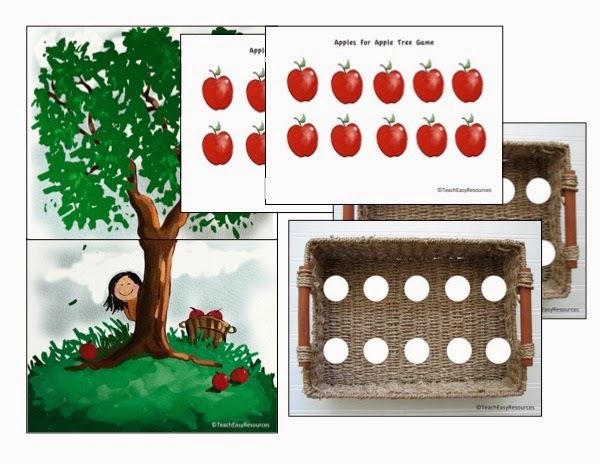 If they roll a "2" they place two apples in the circles on their apple basket. First player to fill his basket WINS! My last tip regarding using magnet boards is to put a non-skid mat from the dollar store underneath them. It keeps the stand nice and stable!